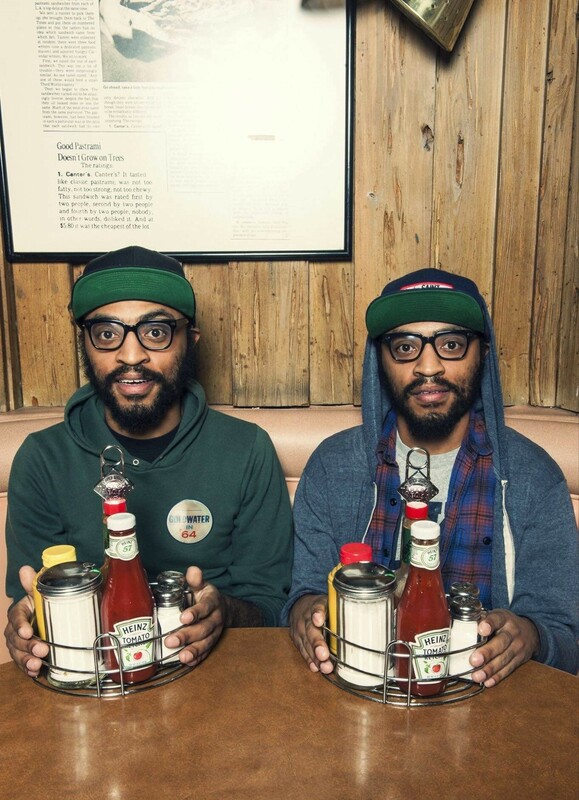 Comedy preview: The Lucas Bros.
Comedians Keith and Kenny Lucas—who perform together as The Lucas Bros.—visit Wiseguys Gateway this weekend with their unique, often-deadpan mix of observational humor, pop-culture gags and social commentary. They spoke by phone with City Weekly ahead of their visit. In your Netflix special, On Drugs, you talk about dropping out of law school to pursue comedy. What was that path like, and how did your friends and family react? Kenny: I was at NYU law, [Keith] was at Duke. I think we were having a sort of similar response to the prospect of being lawyers for an indefinite amount of years. For me personally, I couldn’t envision myself doing it. I don’t think I had the passion for it. I wanted to do something that challenged me creatively. I was always fascinated by [comedy], but didn’t think I’d ever have the confidence to stand on a stage and make a fool of myself. When I called [Keith] up and said, “Let’s take this leap of faith,” he was down for it. Keith: Kenny called me up towards the end [of our third year] and said he was thinking of making the switch out. At first I thought he was insane. We were pretty certain we were going to be lawyers. Once he told me, though, it just felt like the right thing to do. I think comedy would be way more fun. Everything we do is kind of crazy, so you might as well be doing something you enjoy. Our mom was very supportive; she just wants us to be happy. Our friends thought we were crazy, but I don’t think they understood what we were going through psychologically. Once we explained it to them, they got it. Where did the interest in stand-up comedy come from? Kenny: When I was in law school, I lived in an area nestled between a bunch of comedy clubs. So when I was not studying, I would go to clubs and spend so much time there, absorbing the atmosphere and the nature of the process. I was going to drop out my first year, but my girlfriend at the time talked me out of it. Keith: For me it was more out of the blue. I think I was always a little more certain about my [law] career choice; Kenny was not as certain. But once the idea was in my head, it felt right. Can you talk about your process for writing material together? Do you sitting in a room together bouncing stuff off each other, or one of you comes up with an idea that you work out together later? Keith: It’s actually a little bit of both. We live together, and spend practically every waking moment together, just talking about stuff. So we can get jokes from that, or sometimes we’ll go out and have an independent idea and come together to make it more thematically consistent. Kenny: We employ sort of a multi-faceted approach. There’s room for individual thought, but we recognize that this is a partnership, so we have to jointly come up with jokes, and finesse them and edit them. Keith: It’s almost like two people writing a script. You’re working together on a dialogue. Most comedians when they talk about their influences or their comedy heroes, they’re obviously individual performers talking about individual performers. When there aren’t as many examples of the kind of comedy act you perform, who did you look to for inspiration? Kenny: Beavis & Butthead. [laughs] To learn the mannerisms of the comedy duo, we also explored classic vaudeville stuff, like Abbot & Costello, but also Cheech & Chong. Keith: If anyone wants to really assess our style, you can see that we take bits and pieces from a lot of other duo acts, in terms of structure. There are so many. When you’re finalizing your set, do you set it up in terms of being even in terms of which of you gets the punch line? Kenny: I approach it in a kind of egoless fashion. So long as the set itself is successful, I don’t care if I got zero punchlines and Keith got 100 percent of them. Keith: When we first started, we had a bit of a competitive drive, trying to get more laughs. But as we figured out our style, it was about shedding the ego. When we’re starting to think about who’s getting the laughs, it takes away from the actual experience of performing. Kenny: It’s like a team sport. If a person gets hot, you keep passing them the ball. Keith: We’re so used to playing 2-on-2 basketball together. It’s a rhythm thing. You have played in Utah before. Did you have certain preconceptions about Utah before visiting, and how did those preconceptions play out once you were here? Kenny: I was expecting it to be a more difficult process for us, just because my information about Utah was … limited? Keith: There’s a northeast bias. You don’t necessarily know a place until you’re actually there. My larger concern wasn’t so much race, as religion. We fashion ourselves as, not atheists, but not firm believers. We weren’t sure how that would go over. Kenny: I was just totally blown away by the sophistication [of the Utah audience], and how patient and attentive and on board the audience was. It was one of our more memorable shows.